Juran’s work, in turn, has been appropriated by a host of self-help gurus seeking to help people better deal with time management in an increasingly complex world. A notable interpretation of Juran’s ideas can be seen in the New York Times best-seller The 4-Hour Workweek by Tim Ferriss (as an aside, here’s Ferriss being thrown on his head by everyone’s favourite Jiu Jitsu and MMA trainer Dave Camirillo). As a skeptical person, I find myself often chafing against anything marketed as a “principle” or a “rule” that will make our lives easier and better. And this idea seems too simple and intuitive at first glance to warrant deep investigation. But despite its popularity with self-help readers and Oprah viewers (not too much separation on the Venn diagram there), is “the 80/20 rule,” also known as the Pareto principle, something that can help us with our everyday life? 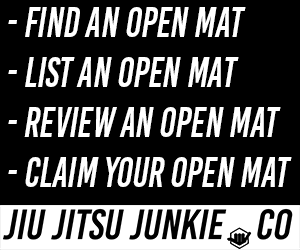 More importantly, is it something that can help us get better at Jiu Jitsu faster? If Marcelo Garcia does it, it’s high-percentage. To answer the question we have to examine how the Pareto principle works. Similar to turn-of-the-century land ownership in Italy, the idea is that in many systems there is inequality between causes and effects. Real-world examples include that 80% of all complaints will come from 20% of customers, and that 80% of sales will be made by 20% of staff. In the martial arts world, the theory is that 20% of all techniques account for 80% of success, therefore 80% of training should be built around those 20% of techniques. This concept may seem obvious to most people. That there are high- and low- percentage techniques is not revelatory to anyone. Yet there does seem to be a need to reign in Jiu Jitsu practitioners desire to practice the latest gimmicky or flashy moves they’ve seen on the internet (with blogs like this one being the main culprit in propagating potentially lower-percentage moves). An additional criticism of this approach is the ability to, through diligent practice, turn any technique into a high percentage maneuver. If at any one decision node in Jiu Jitsu a student can drill the less probable technique to the point where they develop the sensitivity and skill to make it as high-percentage as the more obvious and expected technique, does this contradict the idea of the 80/20? Adherents to the Pareto principal would say no. If it takes you significantly longer to make the less probable option as successful as the high-percentage technique, than this is time you could be using to work on additional techniques in your repertoire. What percentage of his time did Roger train his cross collar choke? But what are these 20% of techniques on which we should focus? The Mendes brothers are winning World Championships with “advanced” techniques such as leg drags and berimbolos, so surely these techniques should be included. Yet Roger Gracie is winning even more championships with “basic” Jiu Jitsu like collar chokes from mount. Where does the list start and end? There is little agreement on what constitutes the fundamentals of Jiu Jitsu. It is an ever-evolving art with techniques that are increasingly diversified from its self-defense origins. When flipped on its head, the Pareto principle actually gives us the answer. By studying the most-frequently used techniques used to win high-level Jiu Jitsu competitions we can create a hierarchy of techniques sorted from highest to lowest percentage of successful application. In John’s mind, for a technique to be defined as a “high percentage” move, the technique must adhere strictly to the following three principles: 1) the technique must work for anyone at any proficiency level, 2) the technique must work for anyone who is competing at any weight class, and 3) the technique must work for any body type (Source: Submission Control). Danaher provided an empirical breakdown of what he considered high-percentage techniques from the annals of Brazilian Jiu Jitsu history, including the cross collar choke from mount and butterfly, lapel choke from the back, and an armbar from mount when the opponent defends the collar choke. Of course Danaher used only Japanese terminology for each technique, in keeping with his appreciation for the historical context of modern day Jiu Jitsu. Gianni Grippo shows us that Jiu Jitsu is quickly evolving. Can you keep up? 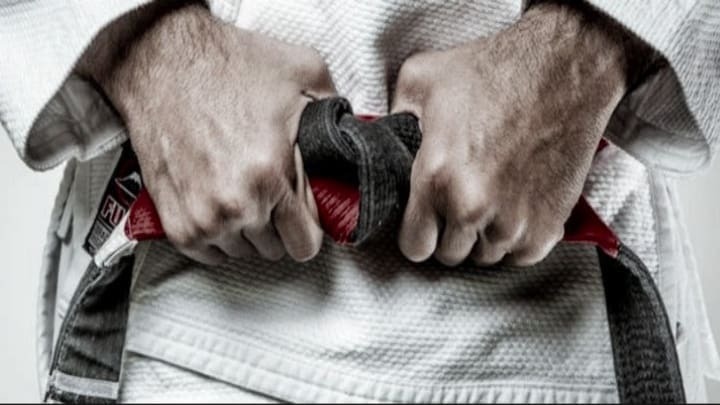 From Irvin’s analysis of successful Judo and Jiu Jitsu athletes, the percentage of techniques used to win at the highest levels of the sport may be significantly less than 20%. For example, he cites that many champions like Márcio “Pé de Pano” Cruz usually have one go-to technique that they attempt to utilize in every match. For Pé de Pano it was the omoplata, but this differs for each athlete. So a decision must be made: do you as a Jiu Jitsu practitioner focus on the statistically most prevalent techniques or lesser percentage techniques that will catch your opponent off-guard. In the 2010 World Jiu Jitsu Championships the most frequent submission by an overwhelming percentage was the bow-and-arrow choke from the back. Should you put the majority of your time into perfecting the bow-and-arrow or attempt a unique pathway, like rolling into a leg lock from the back in order to surprise an opponent? If one was to follow the Pareto principle, the answer would be to spend 80% of your drilling time on the back focusing on the choke. For Beckham, it was his focus on explosiveness and power in a game where 90% of the play is based around cardiovascular fitness. As a Jiu Jitsu athlete, where is your extra 10% going to come from? It could be working on your explosiveness and anaerobic fitness like Beckham in a sport that is highly isometric. It could be improving your takedowns even though the vast majority of Jiu Jitsu takes place on the ground. It could be working on transitions from the bow-and-arrow to the armbar in case 10% of opponents are able to escape the choke. Just don’t lose sight of where the majority of your success will come from. Cobrinha knows that choking from the back will always be high-percentage. The 80-20 rule is not set in stone. There are no properties of these numbers that make them unique. Instead it is a general guide that allows us to look objectively at our Jiu Jitsu practice and focus our energies where they will have the most benefit. It may be that 90% of the success in your Jiu Jitsu comes from 15% of techniques. There’s no reason this ratio must add up to 100, even though the principle appears more intuitive if this is the case. Additionally if the 80-20 rule has merit, it also means that 4% of techniques can account for 64% of one’s success in Jiu Jitsu. Without getting too caught up in the mathematics behind this phenomenon (a log 4 power law), athletes should take note of the Pareto principle as incentive to focus on the fundamentals of Jiu Jitsu. Fundamental techniques are important even if they are amorphous. Take a look at your own game and the game of your coaches. Watch competition footage of athletes with a similar body type and game. From these reference points it is possible to develop a list of techniques that you consider fundamental to your own development. To get the most of this approach, it’s important to be realistic about the type of scenarios you will encounter. If you only face opponents who pass on their knees, learning fancy reverse de la Riva techniques might not be the best use of your time. Instead spend the majority of your time developing a solid arsenal of high-percentage techniques from the positions that you commonly face. Only then is it advisable to work on the extra 10% that will allow you to excel over your competition. This article was originally featured of the Jiu-Jitsu Laboratory and was reposted with the permission of the owner.